Terror is a small but very beautiful town on the holiday island of Gran Canaria. It is situated in the interior in the north of Gran Canaria. Agriculture, animal husbandry and tourism take care of for income. Steep slopes and deep valleys adorn the location of Teror. Terror has many architecture and is known by pilgrims all over the world. During the summer the temperature can rise high, on the other hand during the winter temperatures can plummet. It is as the oldest village certainly worthy of your visit. History tells us that the Virgin Mary would have appeared on a pine tree in the center of the municipality of Teror. Hence the name Nuestra Señora del Pino ( Our Lady of the Pine ). Partly because the inhabitants have built a chapel in honor of Mary, who was later replaced by a church. That church was unfortunately completely destroyed by a fire. Obviously can such a beautiful town not live without a church. There was instead a neoclassical basilica built in 1767. The Virgin Mary statue from 1481, become each year during the month of September visited by thousands of pilgrims and tourists during the Fiesta de la Virgen del Pino. Meanwhile, the basilica has undergone several renovations so that this wonderful building can remain. The basilica has beautiful stained glass windows. Obviously become Teror not only popular among tourists and pilgrims for the Virgen del Pino, The Plaza del Teror is the square and the heart of the municipality. The first thing I notice are the authentic beautiful wooden balconies of the houses of Teror. These balconies are characteristic of their architecture. From the square you have access to the Basilica and the tourist center. An ancient laurel tree gives that little extra to the square. Strolling along a promenade (Alameda), who can not be found for them. I am confident that you will enjoy a stroll through the historic center of Teror. Thousands of curious tourists like you and I, annually visit this boulevard with the episcopal palace of 1793. Colorful houses with wooden or iron balconies guide you slowly along the numerous shops in the Calle Real de la Plaza. 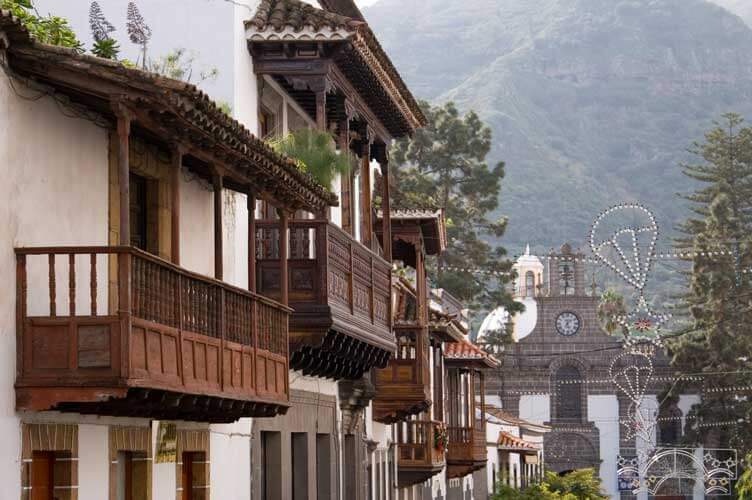 Teror you will visit not only for its history and authenticity, but also to enjoy. Hurry and stress leave your best here at home. To enjoy for all that beauty to of the authentic Canarian atmosphere, you can sit on the terrace of a local bar. For a refreshing drink supplemented with tasty tapas you enjoy once so hard from this tranquil setting. Gastronomy and hospitality are strengths of Teror. Every week there is a public market on Sunday. Fresh fruits and vegetables from the Canary domestic ( local products ), cakes and pastries, clothing and art items, you’ll find it all at the cozy traditional market. The market takes place from 08:00 am to 15:00 in the afternoon. 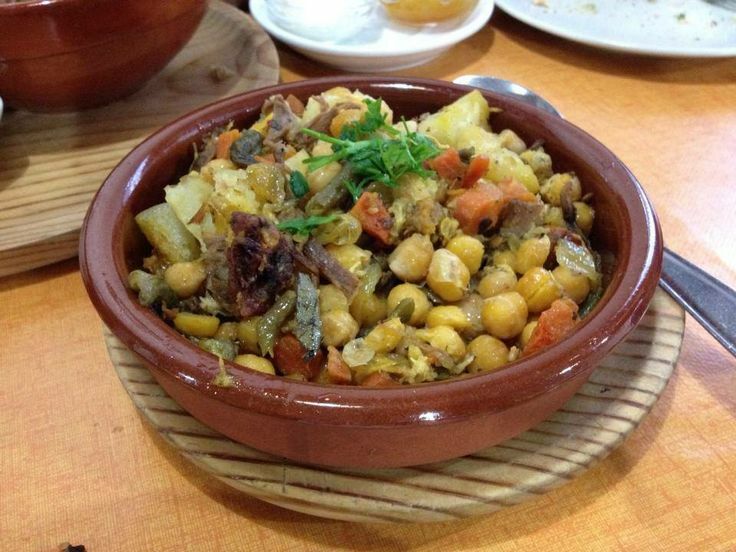 Taste the traditional Canarian and local cuisine you should definitely doing in Teror. Specialties such as a stew with chickpeas (ropa vieja), or delicious marinated meats are high on the menu. Some specialties of Teror itself are chorizo and morcilla dulce . These are blood sausages and garlic sausages, very tasty also with bread. Maybe you can also taste a sweet specialty made by the nuns of the Cistercian Order, “Las Monjas del Cister”. As a wine lover and local produce, I can recommend you to step into the wine shop Manjares Islenos. The art industry in Teror is like this from Arucas very known. Wicker baskets, carvings and more crafts you can find and buy in local studios and shops in the old town. Another known square in Teror is the Plaza Teresa de Bolivar, which gives a picture of a freedom fighter, a unique character. Perhaps also worth visiting is the Monastery of the Cistercian Order ( Monasterio del Cister ) . If you are a fan of religious buildings than Teror has known outside the basilica to offer much more for you. Some examples are the Church Sagrado Corazón de Jesús, the Chapel de la Peña, the Chapel of San Isidro and the Dominican Monastery at the foot of the Pico de Osorio. Just like in other cities, towns and villages of Gran Canaria, also has Teror his celebrations. Nuestra Señora del Pino is the most important festival of Teror. Make a note in your diary for September 8 for this feast. The festival will massively visited by many tourists and residents of the island. Day and night the festivities going on. 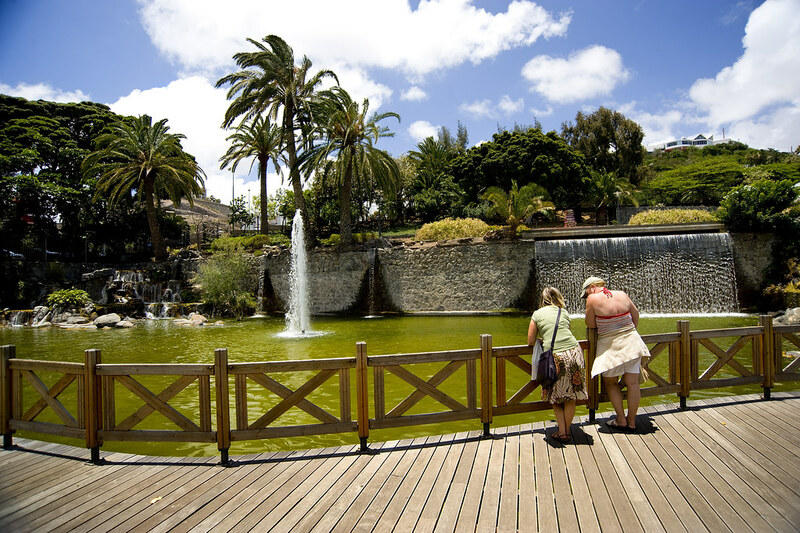 Is it a very hot day in Gran Canaria, then plan a trip on the last Sunday of July. During the party Fiesta del Agua get thrown massively with water. Completely dry you will not stay. A demand for sufficient rain, food and gespaar remain illnesses is why the party was formed. A procession and cattle market gives an extra atmosphere. Crafts, handicrafts, a cattle market and old traditions are central to the Feast of San José. Place of appointment is the first Sunday of May. Here the story ends still not, if you come to visit to Teror you can best provide a whole day. Have you heard of the “Bitter Source“. I think not, but that’s the name of the Fuente Agria. It is a very special place in Teror because this natural source outside the tourism creates significant revenue for the municipality. 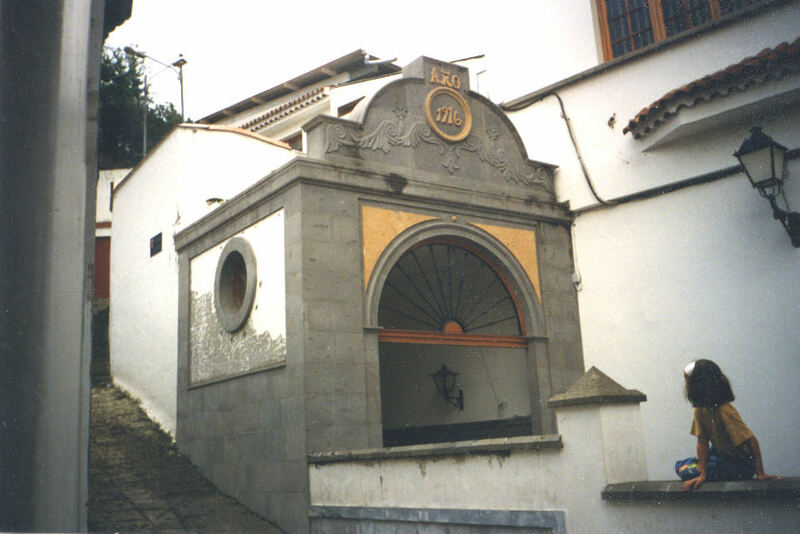 The Fuente Agria has three other sources, the Principal, the Agua Agria and the Molino source. Allow me to take you on a tour through breathtaking nature around Teror. One of the major parks and forest areas of Teror is the Parque Rural de Doramas. We should not walk very far because the park is situated just 2 km from the historic center of Teror. With an area of 207 hectares it is wonderful to walk through valleys, along precipices and agriculture. You will go learn ancient laurel forests and chestnut trees abound. Trees and plants such as oak and cork from Europe and South America make the park a beautiful whole. The Finca de Osorio is built in traditional Canarian style with the famous wooden balconies, and here and there a touch of English colonial style. If you are a romantic soul, then the associated garden is definitely worth your visit to the secluded romantic corners and fountains. Some farmers still live with their family in the park, so you will be able to see the typical Canarian black pig. In the Finca are still educational classes today given for conservation. Accommodation available for groups by appointment. The domain is opened from Monday to Sunday. There are guided tours by appointment by phone +34 928 630 090. The hours are from 9:00 to 17:00. How do I reach Teror? The center of Teror is partly pedestrianized, and therefore has not much parking. At the edge of the center is located a parking garage from where you are at walking distance from the center. By car you can reach Teror on various ways. I think one of the most beautiful along is the GC-21, Carretera de Teror. From Las Palmas is than about 45 minutes drive along a very nice setting. Other recommended routes are towards Arucas, the GC-43 which runs partly along the coast. You will find the interior better, then go through the GC-2 via San Mateo. Want to enjoy the ride to Teror in peace, then I can certainly recommend to take the public transportation. The bus of the Global company is happy to put you into the center of Teror with bus No. 216. When you make a day trip to Teror, then inform you with further information on the Bureau of Tourism that is be located at the center in the C / Padre Cueto, 2 ( Casa Consistorial ) or on the website.